This course is designed to help you prepare for ICML Level II Machine Lubricant Analyst (MLA) certification. It covers foundational to advanced oil analysis information including oil sampling, lubricant health monitoring, contamination measurement and control, and wear debris monitoring. Get Answers To These and All Your Questions About Oil Analysis! How often should I use oil analysis? Where is the best place to get an oil sample? 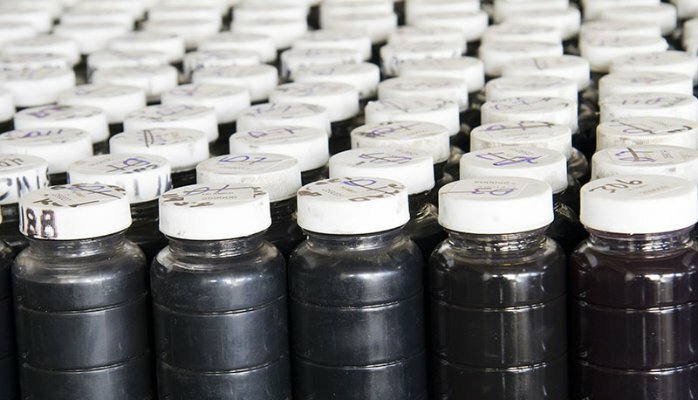 What are the benefits and drawbacks of screening oil samples before sending them to my lab? How clean should I keep my oil and what type of filter should I use? What are all these numbers I see on my oil analysis report? How do I know which oil analysis lab is right for me? How do I set caution and critical alarms for wear metals and additives? What steps can I take to ensure that I get a good sample each time? How do I determine the remaining useful life of my oil? How do I know if I should occasionally “sweeten” my oil with additives? What is the best temperature to trend viscosity at? What are the secrets to catching bearing faults with wear debris analysis? Are there any good field tests for oil that don’t involve expensive instruments? 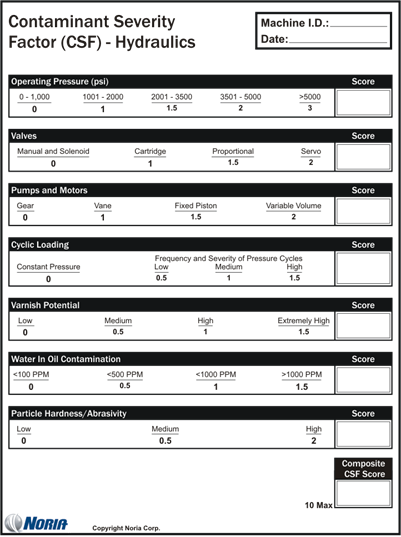 What are the five most important things I should be looking for on my oil analysis report? What are the best cost reducing strategies using oil analysis? 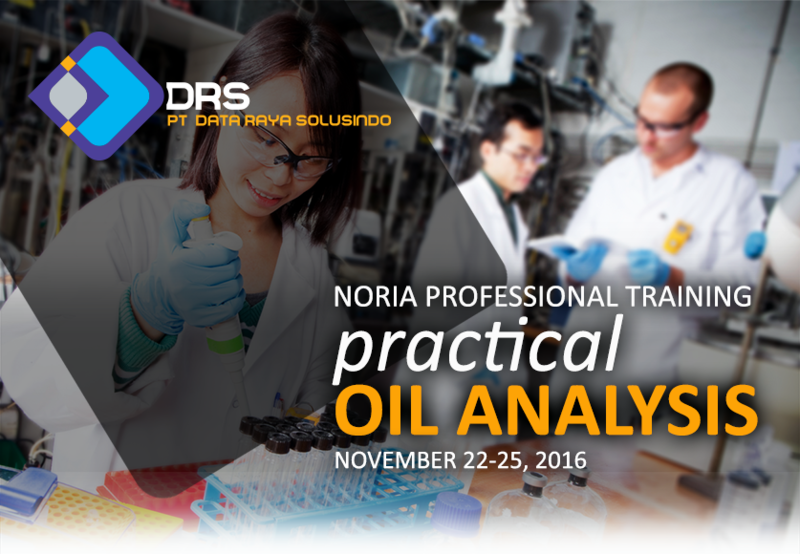 All of this knowledge has been distilled into an easy-to-implement plan for transforming your current oil analysis program into the envy of your industry. For more information about the syllabus in here, and registration form in here. There are 8,760 hours in a year. Few plants manage to produce at full capacity for all of those hours. Instead, there are periodic production stoppages due to tooling changes, product changes, scheduled PMs/inspections and unscheduled downtime (reliability issues). Every hour the plant’s assets aren’t utilized is an hour of lost revenue and profits. Sadly, many plant managers play games with the numbers by ignoring the potential controllability of “scheduled” downtime. Yes, tooling and product changes are unavoidable, but in most other circumstances, there are often practical ways to minimize lost production from scheduled shutdowns. This can be seen in the difference between typical and top performers in the same industry. For instance, a standard 900-megawatt coal-fired power plant may produce at 86-percent capacity (44 weeks per year), while top performers can exceed 94 percent (48 weeks per year). This is a difference of four weeks of productivity. Safety risks due to rushed work, unskilled work, inferior parts, cutting corners, job stress, etc. 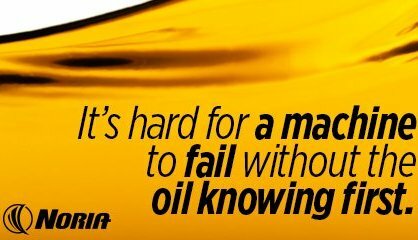 It’s hard for a machine to fail without the oil knowing first. After all, when failures begin and progress over time, there is usually microscopic excavation of machine surfaces producing wear debris. Where does this debris go? It goes into the oil, of course. The oil is like a confessional for the machine. It gets all the bad news quick. For those trying to prevent unscheduled downtime by catching problems early, this is good news. A few years ago Practicing Oil Analysis magazine featured two articles on the differences between vibration analysis and oil analysis in detecting machine faults and impending failure conditions. The articles, which can be viewed at www.MachineryLubrication.com, were written by vibration specialist Howard Maxwell and oil analysis specialist Brian Johnson from Palo Verde Nuclear Generating Station of Arizona Public Service. Palo Verde made a dramatic change in its approach to condition monitoring and machine reliability. The plant combined vibration analysis and oil analysis into a common group, brought its oil analysis onsite and began working as a team. The pie chart in Figure 1 shows the impressive results. 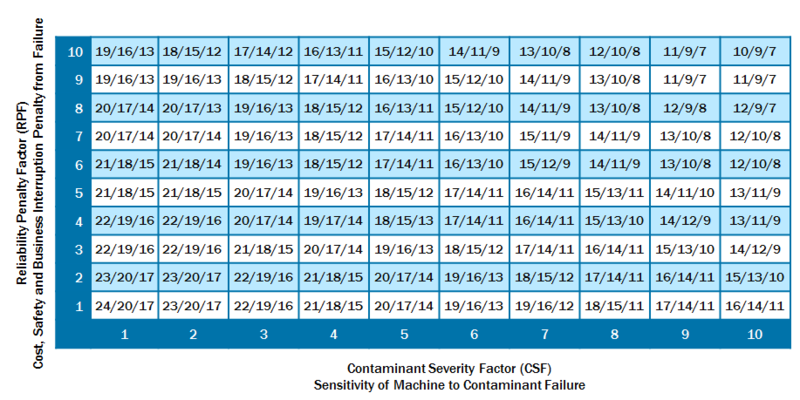 Of the 750 machines in the condition monitoring program, bearing faults were first detected 67 percent of the time using oil analysis and 60 percent of the time with vibration analysis. Both technologies converged to catch bearing faults 27 percent of the time. It was noted that while oil analysis caught the faults 40 percent of the time ahead of vibration, eventually vibration analysis would have detected many of these faults as the problems progressed. In research conducted at Monash University in Melbourne, Australia, failure in gearboxes was induced under controlled conditions. These conditions included misalignment, oil contamination, tooth fracture and others. During the progression of the failure, the gearboxes were monitored using vibration analysis and oil analysis (ferrous density). At the end of the study, the researchers determined that, on average, oil analysis provided 15 times earlier detection of impending failure compared to vibration analysis. In the case of tooth fracture, oil analysis gave no alarm at all, while vibration alarmed quickly. They further concluded that both are important companion technologies for the best early detection results. It’s been said many times that early detection requires frequent detection. It doesn’t matter how good your technology is; its effectiveness is limited if used infrequently. Even the most basic and unsophisticated technologies can win the day when they are used at short intervals. An example would be smartly performed one-minute daily inspections. Smart frequency beats smart technology. This benefit is seen in Figure 2. The failure development period (FDP) is the time interval between the start of failure and the end of failure. In the illustrated example, the FDP time interval is one month. If failure detection methods (vibration, oil analysis and inspection) are performed less frequently than monthly, the chance of catching early faults is remote. Even monthly monitoring can fail to detect incipient faults due to limitations in alarming to weak failure signals. As shown in Figure 2, the detectability of faults gets easier as failure advances. However, even silent alarms associated with incipient, early stage faults and failures can be heard when oil analysis and vibration analysis are performed with considerable skill. For instance, sampling machine return lines and keeping oil clean (to reduce data clutter) can sharply improve the signal-to-noise ratio to enable early detection of even the weakest signals. The earlier the detection methods are deployed, the less costly and disruptive the machine failure is to the organization. The smart money in machine reliability invests not only in frequent detection of faults and abnormal wear but also in frequent detection of root causes. Using the Pareto principle, you can concentrate efforts toward 20 percent of the root causes to gain 80 percent of the benefit. This is analogous to fixing the roof while the sun is shining. Correcting the cause of the leak is so much less expensive than correcting the damage caused by the leak (e.g., water damage to floors and furniture). This concept is illustrated using the P-F interval in Figure 3. The proactive domain relates to vigilant monitoring and control of failure root causes (contamination, for instance). 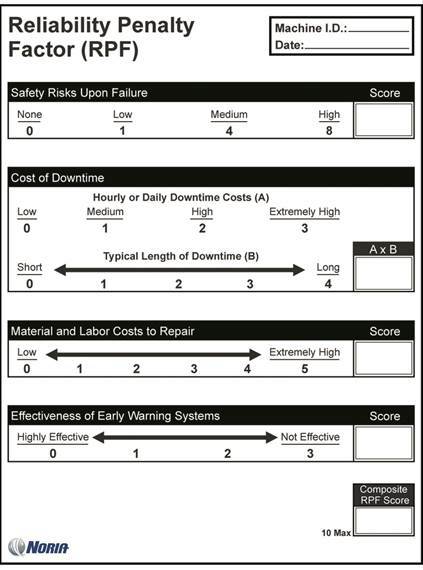 Corrections usually involve only minor adjustments (to remove the root cause) with no machine damage as shown in the root cause zone (A). The onset of failure occurs at the beginning of the predictive domain. Ideally, it is detected early in the incipient failure zone (B). This requires high detection frequency and “pin-drop” detection technique (referring to condition monitoring techniques capable of detecting faint alarm signals). Once detected, the corrective action relates to root cause adjustments with only negligible machine damage. If too much time passes and/or the detection methods are insensitive, you will enter the impending failure zone (C). Here, the cost of correction or repair is greater, but usually it can be scheduled with limited loss of production. The vast majority of predictive maintenance “saves” are in zone C. Both oil analysis and vibration analysis are excellent zone C technologies. When performed with considerable skill, daily inspections are extremely effective as well. Unscheduled downtime occurs in the precipitous failure zone (D). This is not early detection, and the damage is unforgiving. Certain types of failures produce runaway conditions. In such cases, the FDP is too short for detection (sudden death). For new machines, this is called infant mortality. The costs of these failures can be enormous due to business interruption, collateral damage (chain reaction failures), high repair bills and the potential for personal injury. Precipitous failure is the inverse of machine reliability. Next is the post-mortem root cause analysis (RCA) zone (E). Use failure as a teacher to discover what went wrong and how to prevent its recurrence. Also, learn the incipient signs of failure so the condition monitoring program (frequency and technique) can be refined accordingly. Early detection is aspiration-driven, not crises-driven. Yes, a crisis puts the focus on reliability. 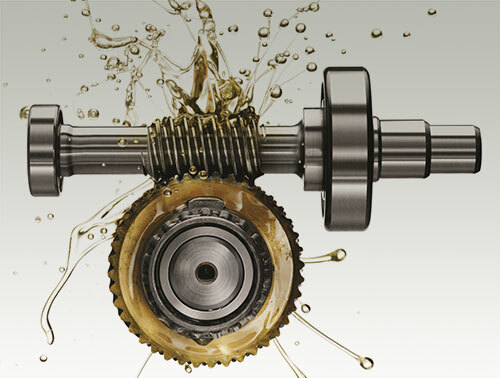 An expensive failure is usually the perfect time to bring awareness to the importance of condition-based maintenance and investing in lubrication-induced machine reliability. Don’t let a perfectly good failure go to waste. Take action now. Should You Use a Lubricant After Its Expiration Date? Making a lubricant is a bit like baking a cake. Unlike other forms of cooking, in baking, measuring ingredients with “a sprinkle of this and a pinch of that” doesn’t cut it – they need to be precisely measured and combined. Mixing lubricants is similar to taking two cake recipes and attempting to combine them; sometimes it works, other times it flops. This is where the analogy ends, because a wrong lubricant mixture can result in a lot more trouble than a flopped cake. While I am not aware of the percentage of wrong lubricants as opposed to low oil levels, there is no doubt that using the wrong lubricant, including mixtures of lubricants, is a major cause of machine and lubricant failure. In most cases, lubricant mixing occurs due to a lack of knowledge about the possible negative consequences, as well as just a lack of attention to detail. Incompatibilities between the base stocks, commonly encountered when switching between minerals and some synthetics. Seal expansion or shrinkage issues, usually as a result of base oil changes, leading to possible leakage and seal failure. Incompatibilities between additive packages. Problems here can include additive precipitation, loss of antiwear performance, loss of demulsification properties, reduction of oxidation stability, and the loss of storage stability when mixing lubricants in storage tanks. With greases, incompatibilities between different types of thickeners. Grease thickeners are notoriously incompatible, and the wrong mixture or grease can result in consistency changes and excessive oil bleed. And just because a grease thickener is described as polyurea, for instance, does not mean it is compatible with other polyureas. Not specifying electric motor greases when purchasing or rebuilding. Motor manufacturers and rebuilders use their own in-house grease. Unless they are otherwise instructed, this will end up in the bearings of the motors. Therefore, one must specify on the purchase order the grease type to be used in the bearings. Poor inventory control. If a situation arises where a large volume of oil is suddenly needed and there is not enough product available to cover the demand, then the alternative is mixing lubricants or shutting down the machines. To avoid this situation, make sure enough product is in stock to cover most scenarios, and ensure the distributor maintains enough stock at its warehouse and can quickly provide product if necessary. Lack of knowledge concerning the dangers of lubricant mixing. This is a more prevalent problem in plants practicing the TPM model, and where people with little or no knowledge of lubrication are being asked to perform duties they are not trained or qualified to do. Changing from one lubricant to another. A good place to start when considering a mixture of lubricants is with one or both of the lubricant OEMs. Their engineering departments should have access to compatibility studies, both between their own products and competitor’s products, and may be able to provide a solution. Always use this as the first resource. If the lubricant OEMs are not able to provide the answers, it is up to the user to conduct the testing. It is important to use the proper test method to gain the most accurate results, because most commonly performed oil analysis tests typically do not provide the user with relative information. In the case of oils, make mixtures by ratio of 90/10, 50/50 and 10/90. Test for filterability, sediment, color/clarity, RPVOT and storage stability. In the case of greases, make mixtures by ratio of 75/25 and 25/75, and test for consistency, dropping point and shear stability. 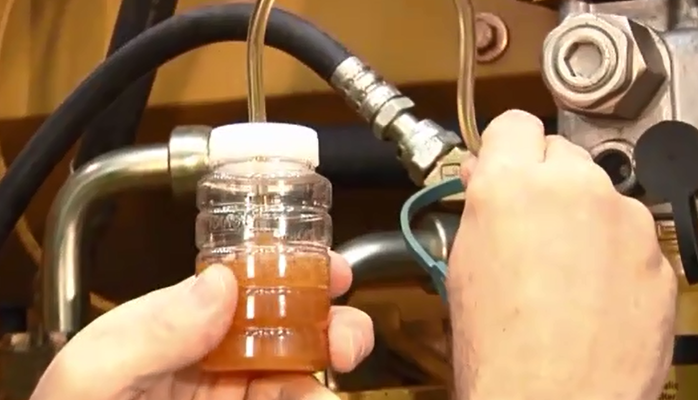 In all cases, after a lubricant mix, planned or inadvertent, has occurred, make sure to continuously test the mixture until the consequences of mixing have been determined. In my experience, the biggest single cause of lubricant mixing is probably the lack of lubricant identification on both the lube-handling side (tanks, drums, containers) and on the machine side. The answer is simple and cheap to implement – institute a color-coding and tagging system. Once this is in place, the only chance of unplanned lubricant mixing comes from improper handling. Again, it is easy to implement a comprehensive policy to manage transfer and storage practices. As far as lubricant storage issues are concerned, ensure that transfer equipment (pumps, containers, hoses, filter carts) are dedicated to lubricant types as much as possible, and when cross-use of equipment is unavoidable, proper flushing procedures are followed. Once good lubricant storage and handling practices are in place, virtually the only instances of mixing will come from planned lubricant changes, and with the benefit of foresight, these can be easily and safely planned. Noria Corporation. Machinery Lubrication training course. PT. 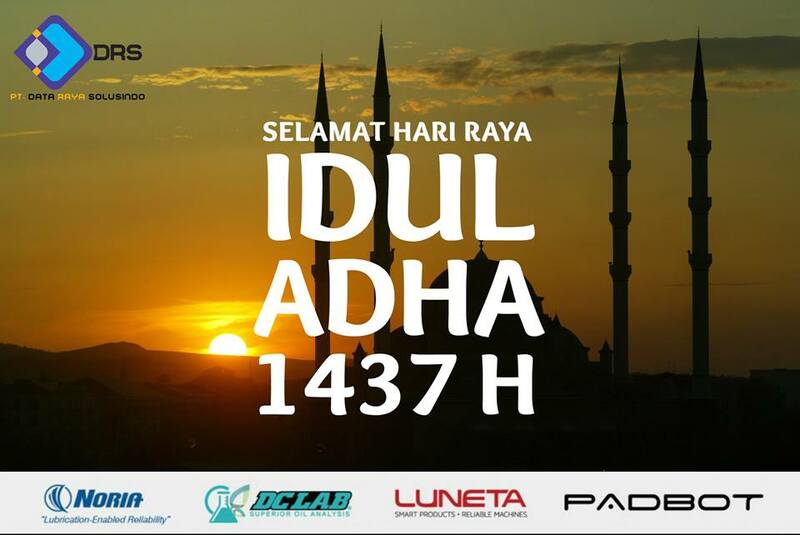 Data Raya Solusindo mengucapkan Selamat Hari Raya Idul Adha 1437 H. Hidup adalah timbal balik. Apa yang kamu berikan akan kembali, apa yang kamu tanam akan tumbuh, dan apa yang kamu korbankan akan berbuah pahala. Selamat berkurban dan mohon maaf lahir dan batin. There are multiple corrective actions for a high particle count. Selecting the appropriate action will depend on the operational and environmental conditions. If a high particle count is noticed in a component through oil analysis, the first question you should ask is where are the particles originating. The initial reaction is usually to change or filter the oil. However, determining where the particles are coming from can save time, money and numerous headaches down the road. Simply removing the particles only focuses on the failure symptom and not the root cause. Common root causes of high particle counts include new oil, ventilation and breathers, seals, wear generation, service and manufacturing debris, and filter dumping or bypassing. It is a common misconception that new oil is clean. In fact, when tested straight from an unopened drum, most new oils have particle counts that are in some cases 32 times dirtier than what you would prefer to have in your equipment. Every machine “breathes,” so proper precautions must be taken to ensure that clean, dry air is entering the system. Otherwise, particles will build to uncontrollable amounts over time. Some particles measured during a particle count may not be strictly contamination from outside sources but rather the effect of this contamination in the form of wear debris. Even brand-new equipment must be inspected for cleanliness. Often new components are not flushed or cleaned after assembly. This will lead to high particle counts after installation. Systems with built-in filtration may run dirty because of operational conditions or a flaw in the design. In this case, all the particles that you assume are being caught by the filtration system are being sent throughout the internal components. While this is by no means a complete list of potential causes of high particle counts, it does represent some of the most common. The best practice is to determine how the particles are entering or being generated by the system. It has been proven that exclusion of particles is 10 times more cost-effective than removal. Therefore, exclusion should be the first priority, and then a focus can be placed on removal. Keep in mind that new oil particle counts vary widely, and many factors contribute to high particle counts. The simple truth is that new oil should be assumed to be dirty, and it must be cleaned before being used. Particle Counting or Ferrous Density &hellip; or Both? 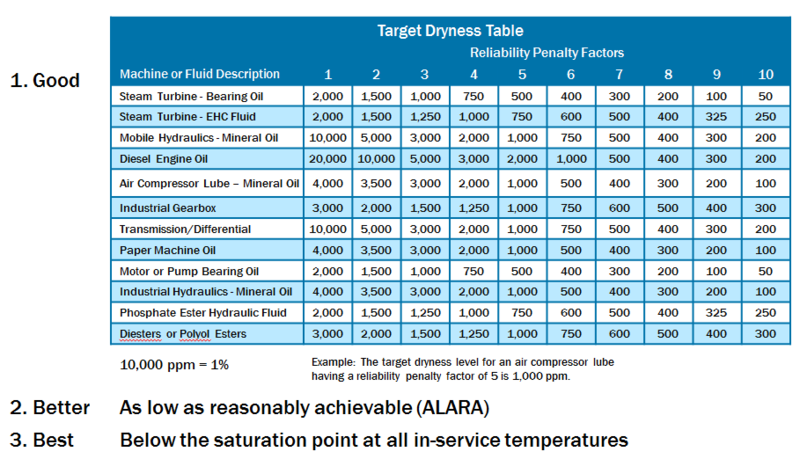 Effective lubrication programs have a dramatic impact on downtime and deliver a healthy return on investment. The best programs are well-planned and have a roadmap to achieve the desired goals. 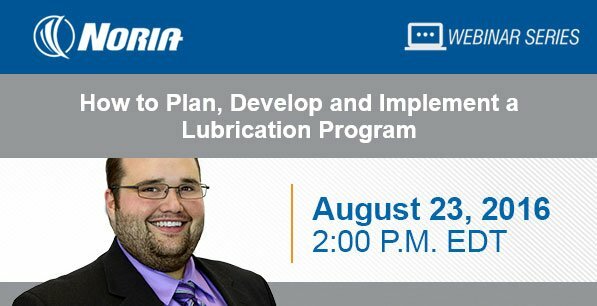 In this webinar, Wes Cash of Noria Corporation guides you through a strategy for avoiding pitfalls and creating an efficient lubrication program that delivers results. Don’t miss this opportunity to learn how to maximize the value of a lubrication program. Whether you are starting from scratch or improving an existing program, you’ll leave this webinar with a list of actionable items that you can use right away. Wes Cash is the director of technical services for Noria Corporation. He serves as a senior technical consultant for Lubrication Program Development projects and as a senior instructor for Noria’s Oil Analysis I and Machinery Lubrication I and II training courses. Wes holds Machine Lubricant Analyst (MLA) Level III and Machine Lubrication Technician (MLT) Level II certifications through the International Council for Machinery Lubrication (ICML), and is a certified lubrication specialist through the Society for Tribologists and Lubrication Engineers (STLE). As with any oil sampling procedures, it is recommended that the machine be currently running or recently shut down (less than 10-15 minutes), depending on how the sample is to be taken. Diesel generators are no different. One of the most important times to take a sample on a diesel generator (or any machine) is during the first few hours of operation. The probability of failure is much higher at the onset of a machine’s life due to the potential of infant mortality, which is a result of break-in wear and other possible but improbable faults during fabrication. That said, soon after a diesel generator is initially run, a sample should be taken. At this time, and assuming fresh oil was just added, it is recommended that a sample be taken after the generator has been in operation for approximately one hour. This running time not only is early enough to provide the oil analyst an opportunity to catch any significant concerns before an issue worsens, but also long enough to anticipate potential break-in wear or other concerns present in the oil sample. If the oil analysis is reported normal and without concern, then sampling intervals can increasingly be extended until a standardized sampling frequency is reached. This will be dependent on the operating conditions and manufacturer’s recommendations. This frequency could be anywhere from a few weeks for continuously run, highly critical applications to up to a year for low critical applications with sporadic use. Environmental conditions will play a role in this decision as well. For a used oil sample, the advice is nearly the same. Just be sure the sample has been taken when the generator is operating under normal conditions or immediately after it has been shut off while still at typical operating temperatures. In either case, the generator should have been running for at least an hour. If the sample is taken from a sampling port, such as on the inlet of the filter housing, then sampling during running conditions is not a concern. If a sampling tube must be inserted near the machine’s moving components, then you must sample soon after the generator has been shut off. Try to have all the sampling equipment ready before shutting off the machine so you are able to pull the sample within 10 minutes of the machine being shut down. Remember, it is critical to obtain the sample in such a manner that it will be representative of the oil in the generator. A: The degradation or chemical reaction starts at absolute zero (-273). As you increase the temperature, the rate of reaction increases. A good rule of thumb for industrial lubricant storage is less than 80 degrees if possible. In the “real world” keeping it as cool as possible is best. This means keeping it indoors, out of direct sunlight, away from heat sources, etc. As the month of Ramadan starts, may Allah accepts our fasts, and forgive our sins. 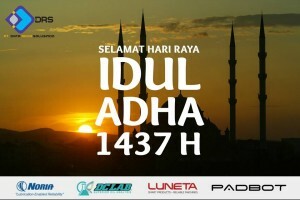 We are gladly wishing you a happy fasting!